Harry here. In case you missed our announcement yesterday, we’re giving out $2,000 worth of prizes courtesy of Intuit in Our ‘Win Your Expenses Back’ promotion. You can enter by going here and signing up for a free trial of QBSE. Today, RSG contributor John Ince updates us on the Jason Dalton situation (including his alleged $10 million lawsuit), some delivery news and more! Sum and Substance: Jason Dalton was reluctant to talk at first because, as he told police, he didn’t want to come across as a “crazy person.” But, with some prodding, he did, giving investigators a glimpse into what was going through his mind the day of a deadly rampage in Kalamazoo. Earlier this month, a prosecutor said Dalton would undergo a psychiatric evaluation to determine his competence to stand trial. Dalton, 45, is charged with six counts of murder. Police have said he does not have a history of mental health issues. He has yet to enter a plea. My Take: The big mystery surrounding the Uber driver in Michigan who shot and killed six people has always been, “why?” There were two basic schools of thought. 1) He was basically an unstable guy who just happened to be driving for Uber. 2) There was something about his experience driving for Uber that pushed him over the edge. So my question to other Uber drivers is this, “Do you agree? Do you feel the Uber app control your lives?” If you say yes, you’re not necessarily indicting Uber, because let’s face it, almost every job in the modern world is demanding to some extent and controls your life. It’s of particular note here that, at least according to this article, police are saying that the suspect had no mental health issues prior to the shooting. Note: After this article, there was a flurry of stories that Dalton had also sued Uber for $10 million in punitive damages, alleging emotional distress from being an Uber driver. The complaint arrived at the county clerk’s office, with Dalton’s correct ID, but it was postmarked Philadelphia. Authorities have now determined that it was all a hoax – a rather dark one indeed. Sum and Substance: Ordering food from UberEats used to be a limited experience. You had seven choices during the lunch hour, not the full restaurant menus you’d see on competitors like Seamless or Postmates. Uber offered just one salad, one sandwich, a juice, a pasta dish, or other entrees depending on the day. It was a part of the Uber app, but it felt like a small side project of a company that’s staked its reputation on transporting humans, not sandwiches. But that lunch-only, limited-selection UberEats is gone. In its place is Uber’s GrubHub killer. For the first time, the company has broken a product out into its own standalone app. On Tuesday, the company launched its long-awaited UberEats app in the US, kicking it off in Los Angeles. Availability will roll out in the rest of the country throughout the month. While it had been just a lunch service, the new app will allow instant lunch or dinner deliveries for select dishes or full-menu options from restaurants. Once you place your order, a specially trained Uber driver carrying lunch bags to keep the food warm or cold will deliver it while you track their progress on your screen. Uber might be a latecomer in the race to deliver food, but by watching other companies’ stumbles, the UberEats team believes it’s learned what it takes to be the winner. My Take: This story roughly coincides with the news that SpoonRocket, the venture backed Y Combinator startup that raised $13.5 million to deliver food has folded. SpoonRocket co-founder, Steven Hsiao cited the poor fundraising climate as a key factor in the company’s demise. That seems to be a key advantage for Uber in this increasingly crowded space – they’ve got tons of cash. But I’m still not convinced that drivers will want to spend their time looking for a parking space so they can go up six floors in an urban apartment building, especially if Uber discourages tipping the way they do with ridesharing. What do you think? Do you want to be delivering food for Uber? Sum and Substance: News flash from the world of the always-raising, ride-on-demand companies in China — one of them is raising. Again. Didi Kuaidi, the company that has left Uber eating its dust in China, is currently in the midst of securing $1 billion in additional fundraising, according to the Wall Street Journal and Bloomberg. We’ve corroborated those reports with a source close to the deal, who told TechCrunch — like both publications — that round is not yet closed, is apparently over-subscribed, and will value the company at over $20 billion. Didi Kuaidi is no stranger to investor cash. Last year, it raised $3 billion (at a $16.5 billion valuation) to push on with its battle against Uber. That 2015 round started out at $2 billion before additional interest pushed it up, and we understand that the same could happen with the round that is currently on the burner. Didi Kuaidi, which was formed a year ago when China’s top two on-demand services merged, is ahead of Uber based on total coverage of China among other metrics. The company’s array of transportation options — which includes registered taxis, Uber-style peer-to-peer rides, shuttle buses, and chauffeur services — are available across more than 360 cities and towns in China. Uber, by contrast, was in 22 cities at the end of 2015, although it recently kicked off a series of aggressive expansions aimed at increasing it to 100 locations by the end of this year. Further, Didi Kuaidi is also ahead on rides completed per day. My Take: China is rapidly becoming the key battlefield of the rideshare wars, and fundraising prowess is becoming the key weapon. What Uber has accomplished there, now over 1 million rides per day, is impressive, but at what cost? Most of those rides are heavily subsidized, and Uber is losing a billion dollars a year to compete. Didi Kuaidi now has $3 billion in the bank, which at least in the near term is plenty to wage an all out war with Uber, so stay tuned. Sum and Substance: One of the challenging parts about being an independent contractor is that you’re only paid for when someone has engaged your services, even though acquiring that customer takes work. For taxi drivers, that means driving around until someone orders a cab or hails you down — without butts in seats, you’re just burning gas. 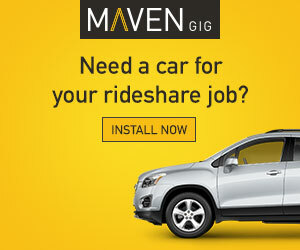 According to new research, that math looks a little better for Uber drivers, who in several cities were able to engage passengers for a higher percentage of the miles they drove and hours they spent while using the app than taxi drivers did while they were on the clock. 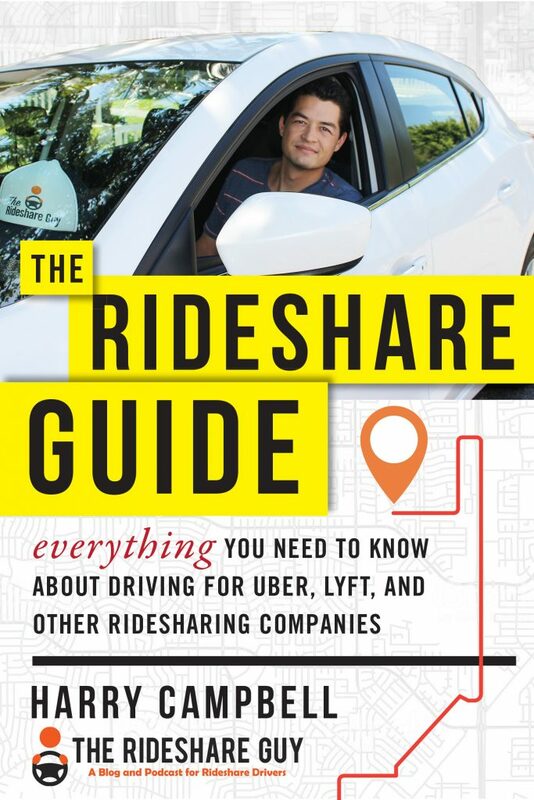 The calculations come from Princeton economist Alan Krueger, a former chairman of President Obama’s Council of Economic Advisors, who’s made a micro-discipline out of Uber studies in recent years. Early last year, he worked under contract with Uber to crunch the company’s data on how drivers use the platform, finding that they earned more per hour than most taxi drivers before factoring in significant expenses. A few months ago, he co-authored a proposal for how the social safety net ought to be modified for the growing category of quasi-employees that Uber has helped create. For this paper, released through the National Bureau of Economic Research, Uber again furnished Krueger with data: Miles and hours driven for UberX, UberXL, UberPool, and UberSelect drivers. Krueger and co-author Judd Cramer then obtained smaller but reasonably representative datasets for taxi drivers in New York City, Los Angeles, Boston, San Francisco, and Seattle. My Take: It’s nice to find some positive news about Uber for a change – Uber utilizes the driver’s time more efficiently than taxis. But wait, before you get enthralled, take note: the data was all supplied by Uber to a Princeton professor who just happened to be under contract to Uber. Hmm. Sum and Substance: Uber promotes the idea that drivers enjoy total freedom from working flexible schedules. 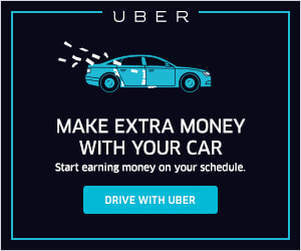 Their advertisements boast that “freedom pays weekly” and you can “be your own boss” and “choose your hours.” But Uber’s heat maps, real-time and predictive messages, and hourly guarantees all indicate that drivers should work at particular places at particular times. Surge pricing communicates this message through nudges and messaging, but hourly guarantees are more explicit tools for labor logistics management. Select drivers are invited to opt-in to guaranteed hourly fares if they meet stricter working conditions. 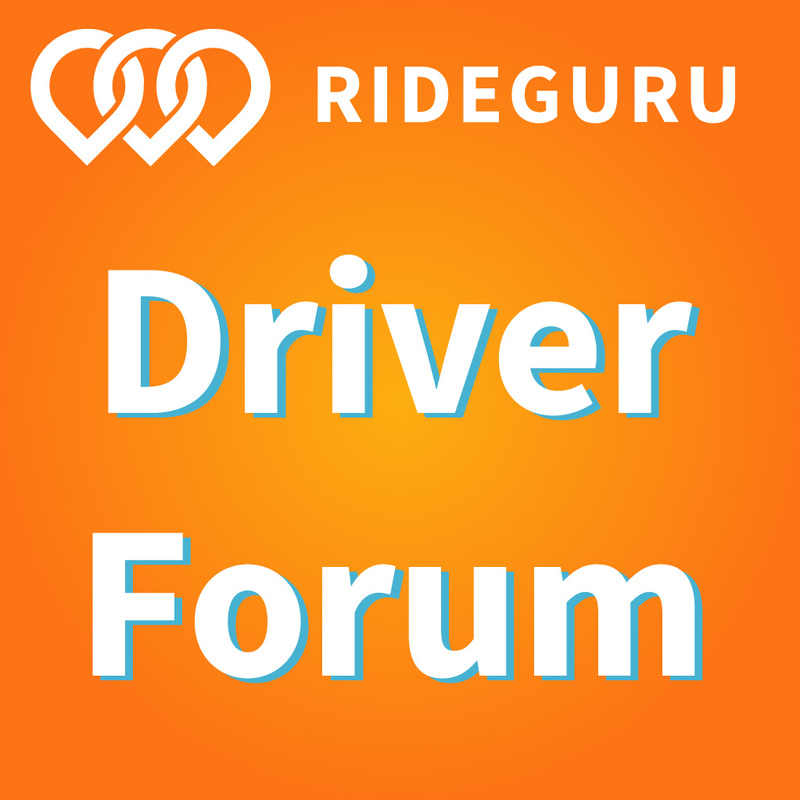 Example 1: the guarantee requires drivers to work specific shifts, from 6am-9am, and 4pm-7pm; to accept 90% of ride requests; complete 1 trip her hour; and be online 50 minutes of every hour. Although it is not stated in this texted message alert, hourly guarantees usually require drivers to receive high ratings on all trips. That information isn’t always included in shorter messages, like texts. Example 2: Uber offered what is effectively shift work to drivers in Austin if they work 6am-10am and 4pm-8pm Monday to Thursday, and 7am-12pm and 6pm-3am, and meet a series of conditions, which includes maintaining a rating of 4.7/5 stars during the guaranteed period. If drivers have to be online and available for work for 50 minutes of every hour, and they have to accept nearly all ride requests, they are effectively prohibited from working for multiple other services, like Lyft, but they’re not explicitly instructed to avoid it…. Thus, Uber leverages control over drivers’ schedules while simultaneously sustaining the idea that drivers enjoy total freedom from working flexible schedules. Drivers, what do you think about the week’s stories?